During Positive Hack Days V, I made a fast track presentation about eCryptfs and password cracking. The idea came to me after using one feature of Ubuntu which consists in encrypting the home folder directory. This option can be selected during installation or activated later. 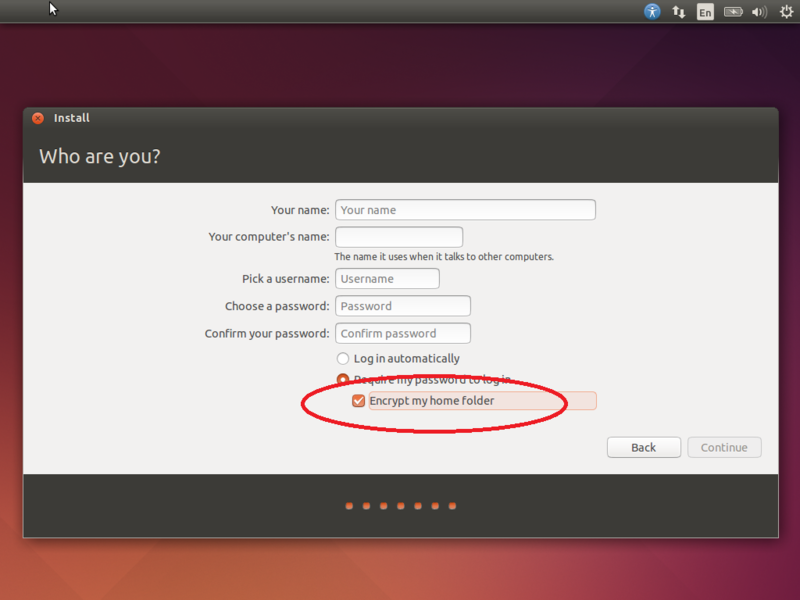 If you select this option, nothing changes for the user except that data in his home folder is encrypted. I was interested to know how this process works since the passphrase for decryption is never requested. I discovered that eCryptfs is included in the GNU/Linux kernel and tools called ecryptfs-utils are used to setup the home folder encryption by the Ubuntu distribution. 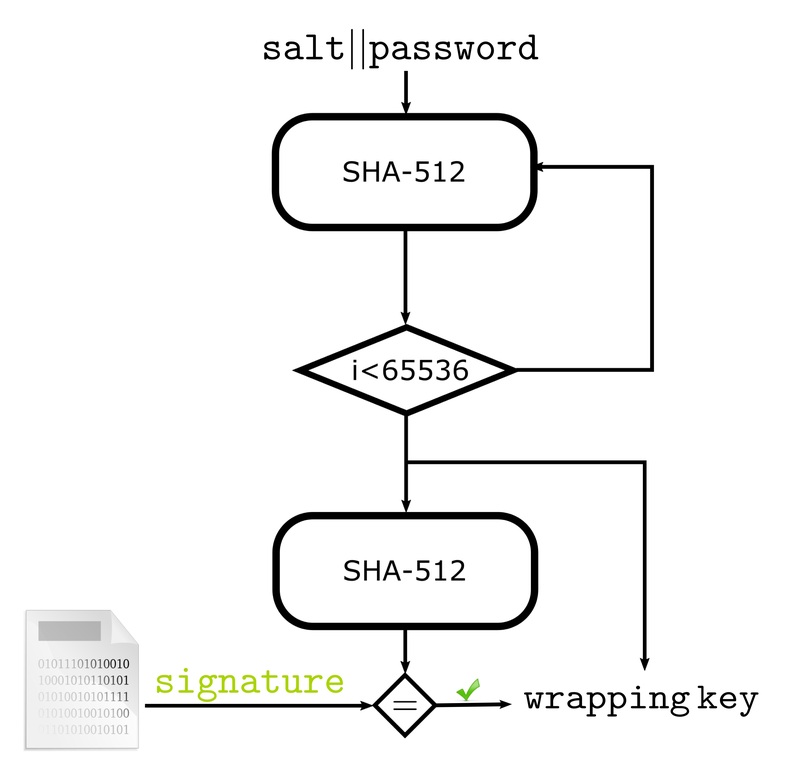 To unwrap the key the process is similar, the salt and the password are hashed 65536 times. The result is hashed one more time. If the 8-byte signature obtained matches the one stored in the file then eCryptfs detects that the correct wrapping key has been generated. Thus it can unwrap the passphrase for file decryption. From an adversary’s point of view, to recover the passphrase, the naive approach would be to brute-force the passphrase with encrypted data. However since it is randomly generated over 16-bytes the brute-force approach is not practical. The adversary can also try to brute-force the password used during the key wrapping and thus he would be able to generate the wrapping key and recover the passphrase. He could use precomputed dictionaries or rainbow tables over the signature to recover the password but as a salt is used in the wrapping process this makes such attacks much more difficult. If the file does not exist, a default value of 0x0011223344556677 is used. This behavior had already been noted previously. For a system using eCryptfs, as the configuration file is stored in the (now encrypted) home folder it cannot be found and so the default salt value is used to decrpyt the home folder. In practical terms this means that, for a system to use this version of eCryptfs the salt value used must be the default value. If not, the initial encryption, using a salt from ~/.ecryptfsrc would never be decrypted correctly as, now unable to find the config file, eCryptfs would apply the default salt at the moment of decryption. where the pink value is obviously the salt and the green value is the signature corresponding to the password you want to crack. I also noticed a Python script ecryptfs2john.py in JTR which directly read the wrapped-passphrase file and convert it to the correct format. The algorithm is also implemented in hashcat. As a proof of concept, I computed a dictionary of 14 million signatures based on the famous rock you dictionary. It took me about one month on my personal computer. But with this dictionary it is now possible to reverse a signature with a single look up assuming the password was in the rock you list of password. 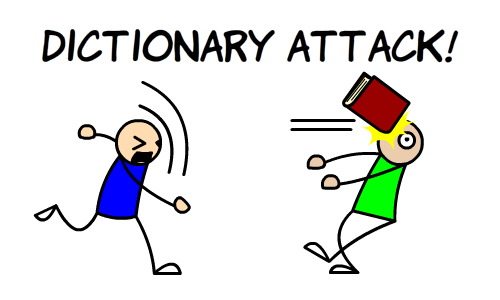 This dictionnary is available at https://github.com/kudelskisecurity/ecryptfs-dictionary-v1. Even with the correction the user password is still exposed to bruteforce attack with a randomly generated salt. 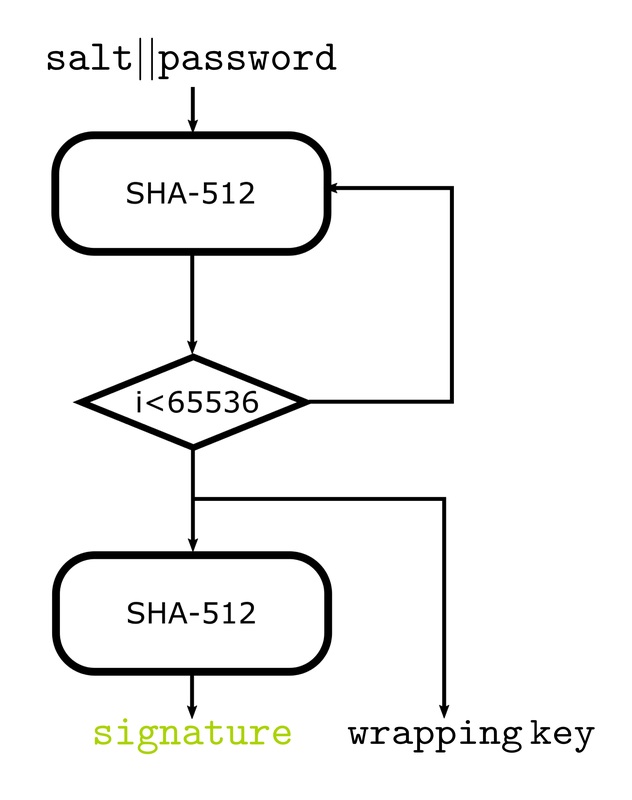 However the standard Linux password hashing is 5000 iterations of SHA-512 which is easier to crack compared to the 65536 iterations of eCryptfs. As such, and due to the dual use of this password the eCryptfs implementation is a less interesting target for a password cracker. In the future it could be interesting if Argon2, the winner of the Password Hashing Competition, could be used eCryptfs. My PHDays slides are available here. Next Post: Machine learning and security: who should care? The signature you are selecting is 16 bytes long and the Wrapped passphrase is 32. You’re right SuperPoney that’s something also I noticed, the key and signature are hexlified that’s why the take twice the size in the file. The wrapped passphrase is the AES ECB encryption of the hexlified version of the passphrase. Pingback: Briefs: Police Computers, Drone Future, RBG Nails, Etc.